When it comes to rapid oil and propane services, there's only one company in Provincetown, Massachusetts, you can rely on: F.A. Days & Sons. We provide prompt propane and oil delivery to homes and businesses throughout lower Cape Cod. Whether you need it dropped off the same day, next day, or next week, we can help! F.A. 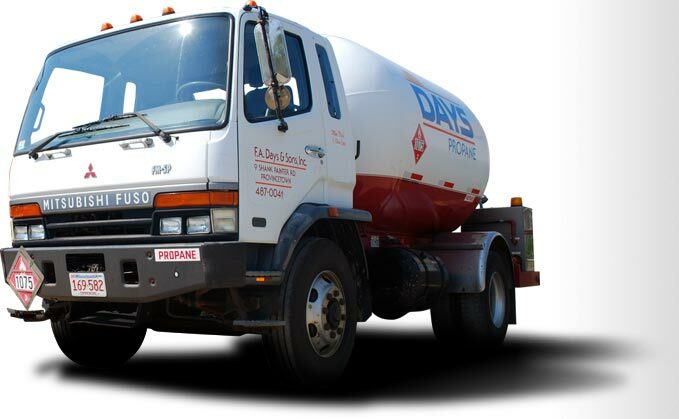 Days & Sons ensures that your propane or oil is delivered on time, every time. At F.A. Days and Sons, we promise that our employees take the proper precautions necessary to ensure the safety of your home, business, and community. We frequently inspect our tools, vehicles, and equipment to make sure they are maintained and in top condition.